Hi everyone! ✿ cheLLe ✿ is participating in this month’s Disco Deals event and we have something sparkly for you! 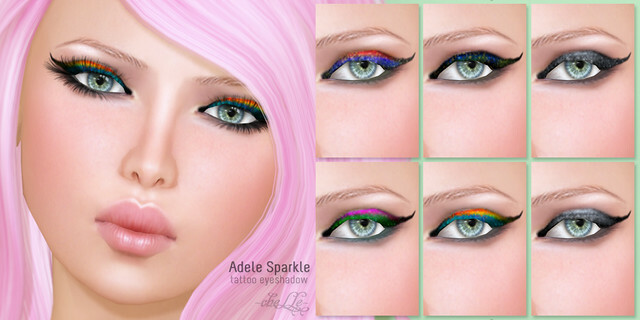 ✿ cheLLe ✿ is an Adele inspired cat eyeliner set in six colors! Or if you’re feeling like something more glamorous, we also have the ✿ cheLLe ✿ Adele Sparkle eyeshadow set! Visit Disco Deals @ Amira or buy these online!